At the Hobbit Cafe the Bilbo the Magnificent has been a staple of the menu since the restaurant opened. The sandwich's name's origin matches the importance of the sandwich to the menu incredibly appropriately. The title of "The Magnificent" was given to Bilbo by the Elven king on his way home from his great journey. The king calls Bilbo, "Bilbo the Magnificent" because it is the highest praise he can give Bilbo, which is significant because Bilbo started out his quest as no more than a thief. 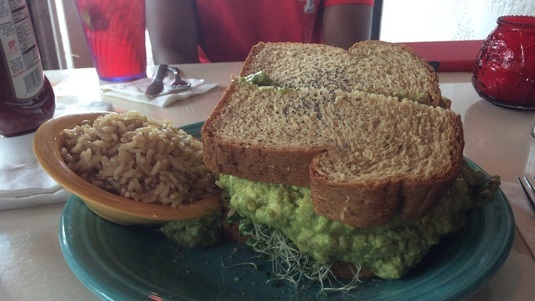 The sandwich compromised of Guacamole, tomato, cucumbers and alfalfa sprouts.